There is a migraine "pain center" or generator in the mid-brain area. A migraine begins when hyperactive nerve cells send out impulses to the blood vessels, causing constriction, followed by the dilation of these vessels and the release of prostaglandins, serotonin and other inflammatory substances that cause the pulsation to be painful. Serotonin is a naturally occurring chemical essential for certain body processes. Headaches that occur suddenly (acute onset) are usually caused by an illness, infection, cold or fever. Other conditions that can cause an acute headache include sinusitis (inflammation of the sinuses), pharyngitis (inflammation or infection of the throat) or otitis (ear infection or inflammation). Common causes of tension headaches or chronic nonprogressive headaches include emotional stress related to family and friends, work or school, alcohol use, skipping meals, changes in sleep patterns, excessive medication use tension and depression. 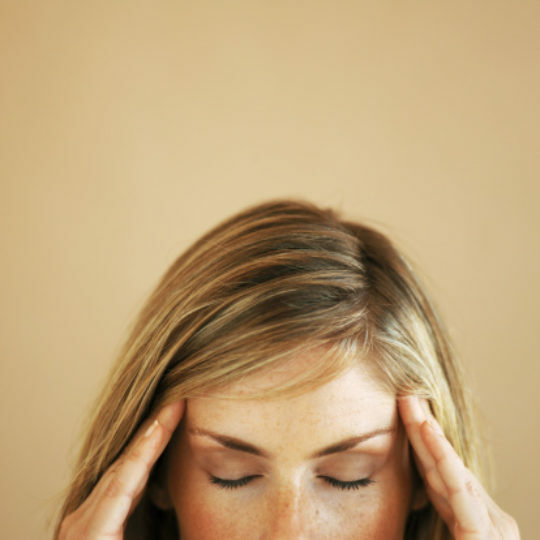 Other causes of tension headaches include eye strain and neck or back strain caused by poor posture.